Late Friday afternoon, Cobourg resident John Cairns received an email from Dean Hustwick, Cobourg's Director of Recreation and Culture notifying the citizen that Cobourg is actively engaged in ensuring that the cause of a crash of a diffuser from an overhead light fixture is being looked into and necessary repairs are being made. Hustwick wrote in part, "I can assure you that we are taking this situation very seriously and are continuing to inspect all similar lights at the CCC and, if necessary, securing any of the plastic covers that could pose even the slightest risk of potentially falling. Each coveris held into place with metal clips and, as an extra safety measure, wrapped in tape in multiple locations. In the days ahead, we will be reviewing the matter carefully to determine whether additional measures need to be taken." 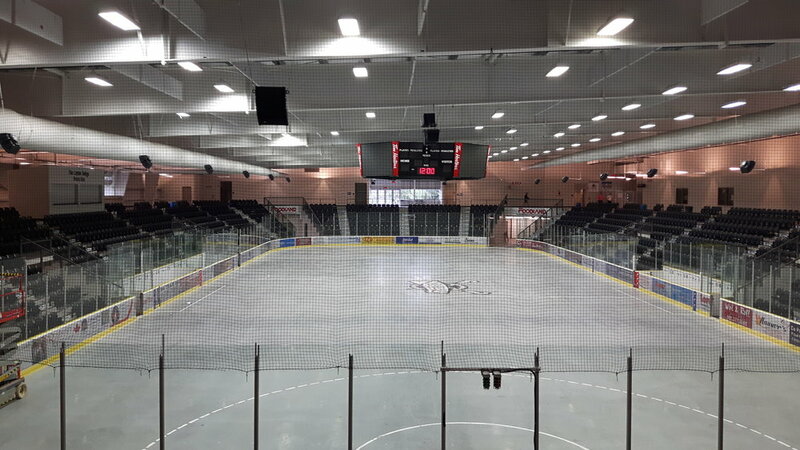 Northumberland 89.7 has learned that by Friday afternoon, equipment was brought onto the arena surface hoisting workers to the light fixtures where diffusers were re-taped to ensure safety.